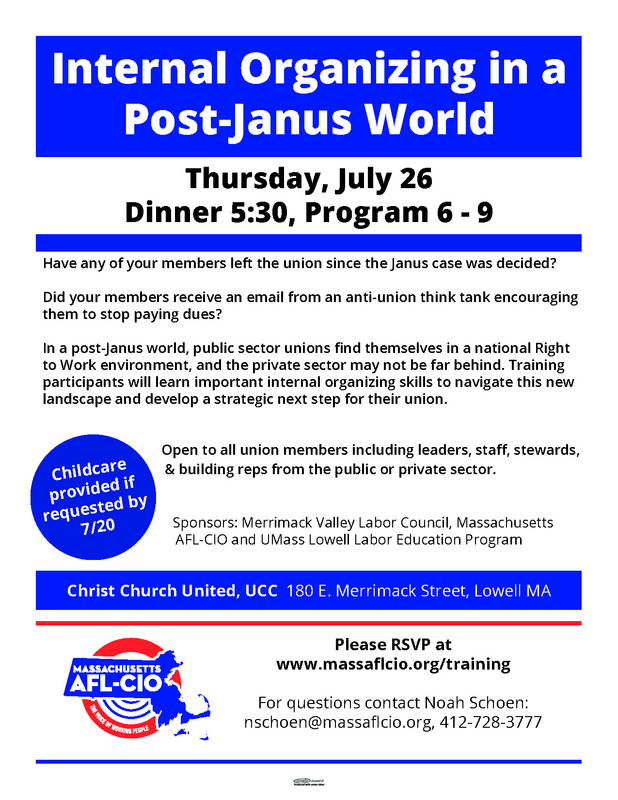 Have any of your members left the union since the Janus case was decided? Did your members receive an email from an anti-union think tank encouraging them to stop paying dues? In a post-Janus world, public sector unions find themselves in a national Right to Work environment, and the private sector may not be far behind. Training participants will learn important internal organizing skills to navigate this new landscape and develop a strategic next step for their union. Open to all union members including leaders, staff, stewards, & building reps from the public or private sector. Dinner at 5:30 followed by the training program 6-9.